Impact of the Grant Six months to one year after receiving the grant money to start or upgrade their lactation rooms, the IBC asked recipients what kind of impact their rooms had on their breastfeeding promotion. Here is a sampling of the responses. "Our initial goal was to create one room, but we decided to expand the project to better serve our employees by creating 3 "Mother's Rooms." All three are convenient, safe, private, and comfortable rooms. We are hopeful these rooms would also be used by other breastfeeding mothers visiting our facilities. A fourth room will be completed in the near future. In addition to the rooms, we established a lactation support policy and developed an information card to be distributed by our OB staff to new mothers during hospitalization or by supervisors at the time a maternity leave is requested. To evaluate the project we are using a talley sheet to show overall utilization of the rooms on a monthly basis." 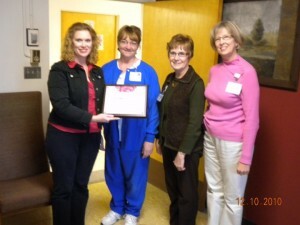 This group set up a State of the Art Model lactation room by converting over a clinic exam room. It had a locking door and emergency assistance if needed as well as a sink with hot and cold running water and lockable cabinets for supply storage. The grant money was used to purchase a glider rocker and small table. They announced that the room was available at the agency managers meeting and all-agency staff meeting. 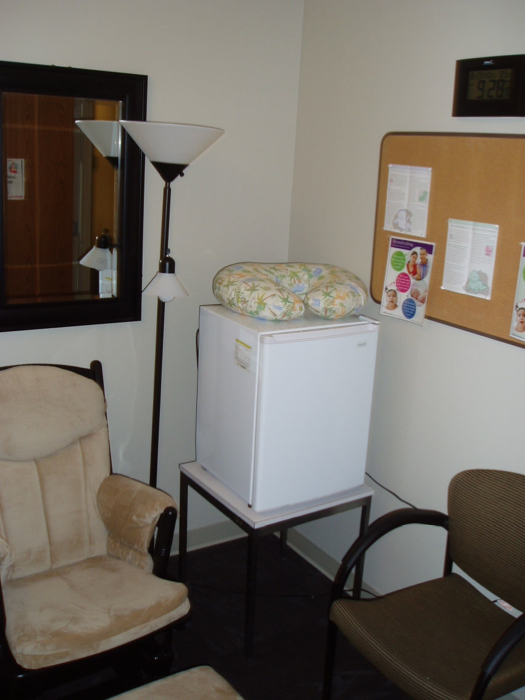 "WCCA identified 30 rooms to be used for breastfeeding. Locks were purchased and installed, large tubes of disinfectant wipes were purchased as well as room signs for all 30 rooms. Foot stools have been ordered." "We were excited when Iowa was selected to participate in this program by the HSS," stated Susan Kirstein, MSN, chief nursing officer at Broadlawns medical Center. "It's gratifying to receive the grant. We needed a lactation support program at Broadlawns to allow us to lead by example in eliminating barriers for employees. We encourage and support our patients and community members in breastfeeding their babies, yet we had barriers for our own employees who wanted to continue breastfeeding after returning to work." The grant is being used to provide room signage and a safety lock for privacy of the users, as well as sanitation supplies for the room. Broadlawns has supplied space with a reclining chair, educational materials and staff support to satisfy the required in-kind matching support for the project. 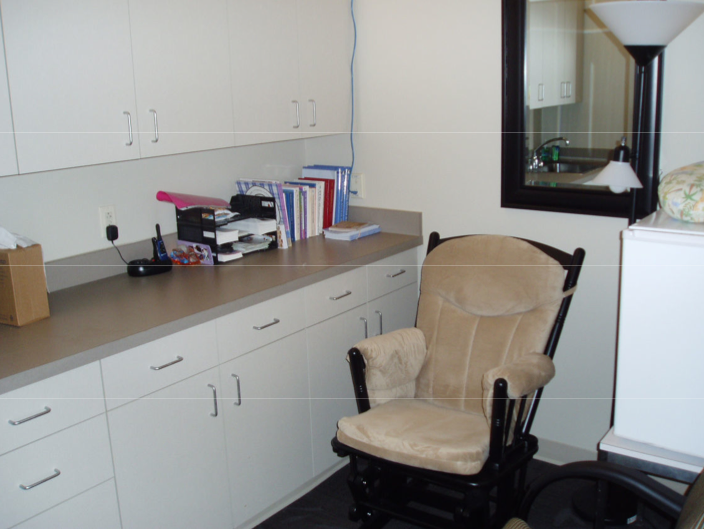 "Though a previous lactation room was built to meet many of the Basic Model Lactation Area standards, adding and changing just a few items moved the room to the Even Better Model for a Workplace Lactation Area. These changes included a comfortable chair and footstool, disinfectant wipes and dish soap, a wall clock, a floor lamp and a mirror. To increase awareness and use of the room by employees, educational materials were developed and distributed to all employees in the bi-monthly newsletter. Room use was tracked before and after the educational campaign and placement of the new amenities. From mid-July to mid-August, room use increased over 15%. One woman commented that the availability of the room influenced her decision to breastfeed." "We recently met with the peer counselors and all agree that it would be helpful to the students if we make referrals to them earlier so they can establish a relationship prior to the student's delivery. We have started meeting with the pregnant and parenting students in a group setting and continue to meet with them individually." This group plans to determine the success of their lactation room by tracking the number of pregnant students who express an interest in breastfeeding and those who do breastfeed. They will interview those students who stop breastfeeding to identify problems/difficulties they encountered and those students who continue breastfeeding every 2-3 months to see how it is going for them. Provide a safe and private area to support milk expression and flexible work options for breastfeeding mothers. Promote the health benefits of breastfeeding for mother and infant. Improve productivity and retention for breastfeeding mothers including lower absenteeism and turnover. With the guidance of the Human Resources Department, we are writing a lactation support policy. 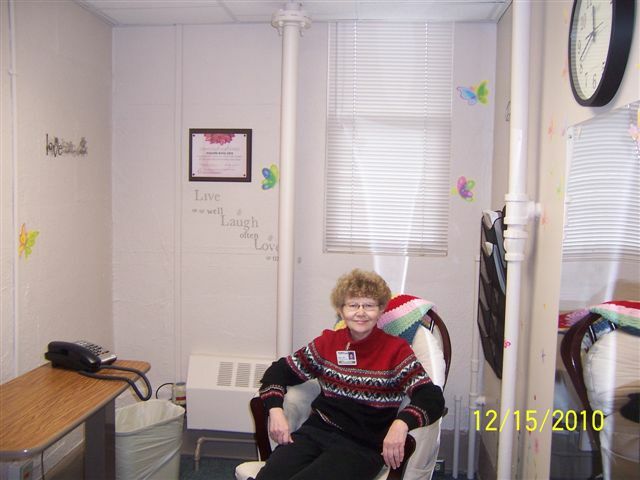 Our grant money will pay for storage lockers and a gliding chair." "Therefore let it be resolved that the Dallas County Board of Supervisors will provide a supportive environment for lactating employees including reasonable breaks and an appropriate location." This was the first step in our efforts to offer a specific lactation room to all county employees located within the department of Public Health. This location allows nursing mothers access to the public health nurse that is a Certified Lactation Consultant in case they have questions about breastfeeding or operating the pump. In addition to purchasing a Medela Lactina Select Multi-User Double Breast Pump with the grant, Dallas County provided many things for their lactation room: The lock on door, curtains, lactation sign, bulletin board, books/literature, rocking chair, music/CD player, wall clock and decor, telephone, antiseptic wipes, sink in room next door. 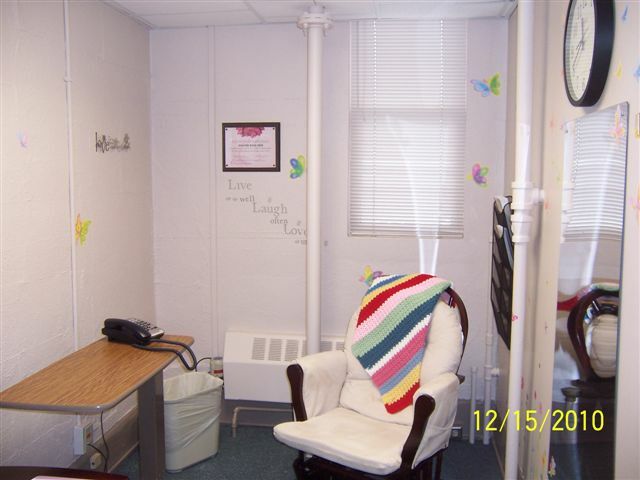 The bulletin board shows pictures of babies who's moms are currently using the room under the "breastfeeding boot camp" side and photos of the "graduates" who's mothers have used the room in the past but are no longer breastfeeding. "Manning Regional Healthcare Center can now provide a clean, comfortable and private space where nursing mothers will have a way to pump after returning to work. Originally we wanted to provide a sink outside the room and MRHC would purchase a compact refrigerator. The space we found for the lactation room was large enough to put a sink inside the room. After discussion with the current and soon-to-be-breastfeeding mothers, it was decided to not purchase a refrigerator as the mothers said they would be utilizing the refrigerators in or very near their departments rather than one in the lactation room. Funds from IBC were used to purchase a TV, trash can, paper towel and soap dispensers, and an Occupied sign. 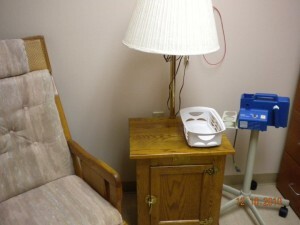 MRHC provided room renovations, a rocker, a Medela Symphony Breast Pump, an end table, oscillating fan and a hook for the Occupied sign."